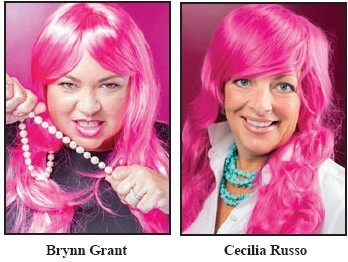 Cecilia Russo, president of Cecilia Russo Marketing, and Brynn Grant, vice president of World Trade Center Savannah and Chief Operations Officer of SEDA, will host a “Let’s Tackle Breast Cancer” Football Weekend to raise awareness and much-needed funds for the Susan G. Komen of Coastal Georgia Foundation. The festivities kick off Friday, October 14 at the Benedictine Military School Homecoming game beginning at 7:30 p.m. BC will play the Toombs County football team at the T.A. Wright Stadium at Savannah State University. On Saturday, October 15, Russo and Grant will host an event at Tubby’s Tank House, 2909 River Dr., beginning at 3:30 p.m. for the University of Georgia vs. Vanderbilt game. On Sunday, October 16, our pink-wigged ladies will be at Coaches Corner, 2016 E Victory Drive, from 1 p.m. to 4 p.m. during the NFL games. Each of these events is free and open to the public; suggested donations are at your discretion. Participants will have the opportunity to enter for raffle prizes at each of the events. Prizes include a flat screen TV donated by Port City Powerwash, an NFL Jersey from Coaches Corner, as well as gift cards to Baracuda Bob’s, Pirate’s House, the Exchange and Pearl’s Salt Water Grille donated by Turner Food and Spirits Company. All prizes will be awarded at Coach’s Corner on Sunday afternoon at 3 p.m.
Russo and Grant are among 10 participants of the 2016 BIGWIG competition hosted by the Susan G. Komen Foundation. For more information, visit www.facebook.com/ events/284887018563914/.